Victorian Glen Raymond says he is out to ‘share the rally car love’ at the Make Smoking History Forest Rally in Western Australia, when he swaps his Mitsubishi Lancer Evo IX for a Subaru Impreza WRX STi. Raymond, who returned to the CAMS Australian Rally Championship (ARC) this year after several years’ absence, wasn’t planning to enter round two of the ARC, which will take place in Busselton and the forests of Nannup on 27-29 April. “I wasn’t going to enter until an amazing offer from Pete Schey from Sky Refrigeration came up,” explained Raymond. Raymond said Schey only recently purchased an ex-Cody Crocker APRC Subaru Impreza WRX, which is located in Perth, and immediately offered him a steer. Raymond, who won the Forest Rally in 2009, will be joined by co-driver Kate Catford, who will be hot off the plane from Targa Tasmania, which wraps up on 21 April. 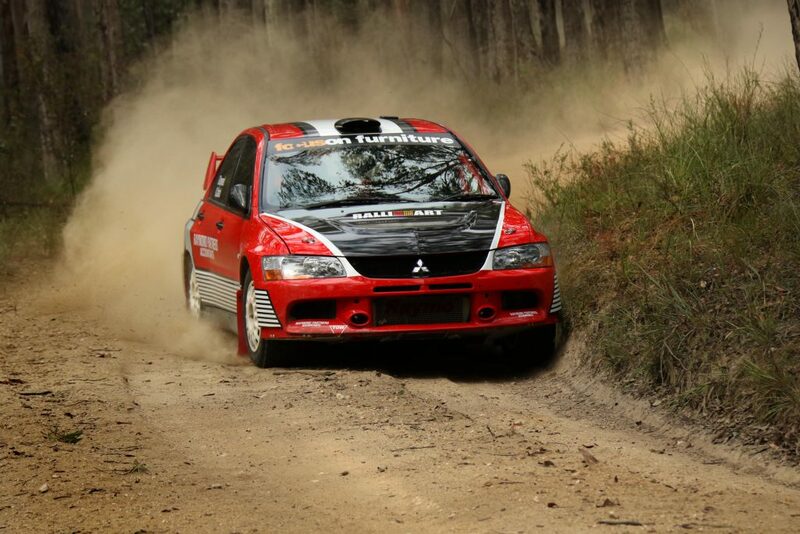 Raymond and Catford in the Mitsubishi Lancer Evo IX during The Courier Eureka Rally. Raymond and Catford had a forgettable start to their ARC return at The Courier Eureka Rally in March. 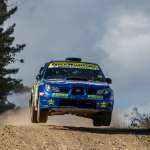 Their Raymond Partners Accountants Evo IX was plagued with mechanical issues on day one but the pair were in the mix on day two, setting the second fastest time on four of the day’s seven stages and claiming third outright in heat two. Victorian Peter Schey is an established rally driver in his own right, finishing fifth outright in the 2013 Alpine Rally. The recently purchased Subaru Impreza WRX STi was most recently campaigned by John O’Dowd in last year’s ARC and WARC, with O’Dowd winning the ARC2 title and finishing second in the state championship. Almost 60 crews will contest this year’s Make Smoking History Forest Rally, which hosts round two of the CAMS ARC and the CAMS Onslow Contracting WA Rally Championship as well as a Clubman Masters and Clubman Cup Series. Keep an eye on www.rally.com.au for all the latest rally news, videos and results.